It is usually assumed that Sardar Patel, the Deputy Prime Minister of India wrote the ‘prophetic’ letter to Jawaharlal Nehru, the Prime Minister, detailing the implications for India of Tibet’s invasion. A new book proves that Patel used a draft given by Sir Girja Shankar Bajpai, the Secretary General of the Ministry of External Affairs and Commonwealth. On November 7, 1950, a month after the entry of the People’s Liberation Army in Tibet, Patel sent Bajpai’s note under his own signature, to Nehru, who decided to ignore Patel’s letter. The next day, meeting Bajpai in the corridors of South Block, the Prime Minister told his General Secretary: “you are marshalling the big shots”. Bajpai, deeply upset by the turn of events (which were influenced by KM Panikkar, the Indian Ambassador to China, who ceaselessly defended the Chinese interests), had also written to President Rajendra Prasad and C Rajagopalachari. 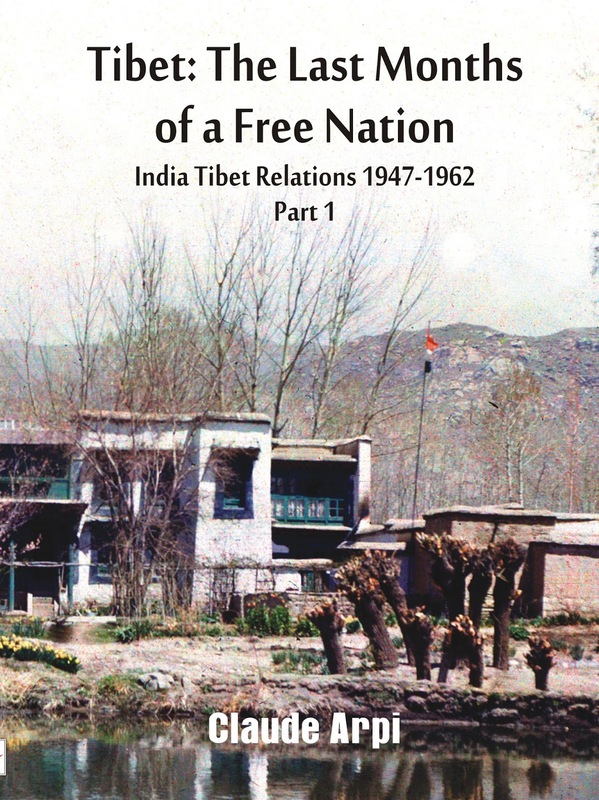 Reproduced below are extracts of Tibet: The Last Months of a Free Nation: India Tibet Relations (1947-1962). It deals with a first note of Bajpai on the sequence of events and the nefarious role of Panikkar. The October 31’s note written by Bajpai is historically important for several reasons; first and foremost because after it was sent to Sardar Patel, the latter asked for a draft for a letter to be sent to Nehru; Bajpai’s note also shows the frustration of many senior officers in the Ministry and provides a precise chronology of the tragic events of Summer and Fall 1950. Tibet had been stalling negotiations on one excuse or another. Since military action was reported to have already started, ‘any such suggestion now will only meet with rebuff’. …Bajpai is more and more frustrated with Panikkar’s surrender to Chinese interests and perhaps also by the support that the ambassador gets from the Prime Minister. The Secretary General is clearly in a difficult position. …Already on July 20, Panikkar’s attention had been drawn by South Block to the fact that Beijing’s argument that the ‘Tibetans had been stalling the talks’, was wrong. Mao was not in the least bothered about such niceties. …As the preparations on the Chinese side continued, Panikkar wrote to Delhi on August 13 to inform the ministry that he has been unable to meet Zhou Enlai, who is ‘ill with dysentery’, but he had met Chang Han-Fu, the Vice Foreign Minister: …”Unfortunately, nothing is mentioned by the Ambassador, either about the inappropriateness of military operations in the prevailing international situation or the absurdity of General Liu Bosheng’s reference to an imperialist control over the Tibetan authorities”, comments Bajpai. …Delhi is convinced that ‘the position of China will be weakened’ by a [Chinese] military solution. … the objective of Mao and the Southwestern Bureau in Chengdu is to occupy Chamdo, it is therefore clear that the PLA is preparing to enter ‘Tibet proper’. Though the plans for the military action are ready, the logistic is not. The objective remains the fall of Chamdo before the winter, ambassador or no ambassador, negotiation or no negotiations. On the front, the preparations are going on full swing. On October 11, The Statesman in Kolkata publishes a report saying: “Communist forces had penetrated 50 miles into Tibet from the Sino-Tibetan border.” The Ministry in Delhi had not heard anything. On October 17, the Indian Ambassador receives the full details of the Chinese invasion of Tibet. South Block confirms that Tibet has been invaded, it was “brought to our notice at the request of the Tibetan Government in a message sent through our Mission in Lhasa,” says a cable from Delhi. …Sir Girja Bajai is obviously upset; he writes that the rest of the ambassador’s telegram deserves quotation in full. We can understand why. This is written by the Ambassador of India. This raises a question, how could the ambassador present an aide-memoire without its content being vetted by South Block? …As we shall see from Chinese archives, particularly from Mao’s cables, the invasion (or ‘liberation’ for the Chinese side) did not at all depend on ‘negotiations’ or ‘talks’ with Tibetans. The army action had been decided since months. …Though Bajpai, a seasoned diplomat is aware of what is going on, he is caught up in the system with the strong-willed Prime Minister (and Foreign Minister) dominating the scene and a ‘darbari’ Ambassador. This is a strong, though late indictment of Panikkar. Patel passed away five weeks later. Tibetans in Metok: 'good' guys, 'bad' guys? Chinese troops intrude in Ladakh: a coincidence? Why all this fuss for a few Indian tunnels?